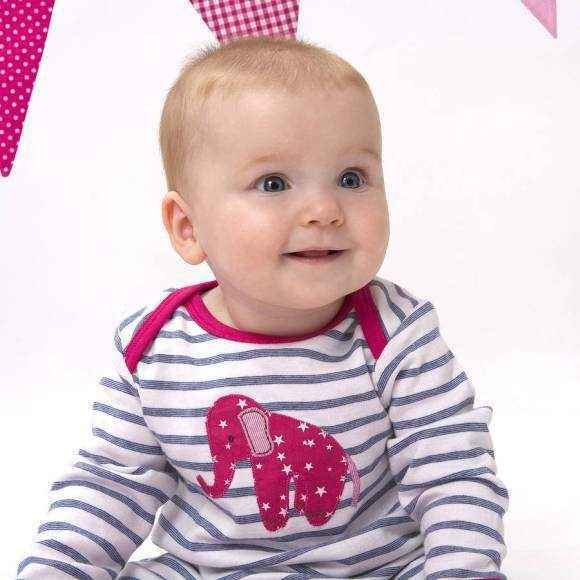 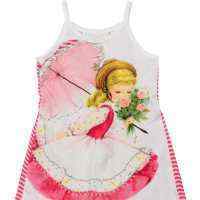 This elephant baby girl set features a striped romper in the finest quality cotton with an appliqued pink elephant, and an appliqued elephant bib. 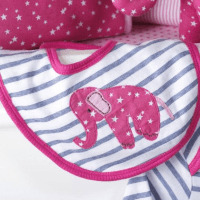 This elephant baby girl set makes a super cute baby girl gift! 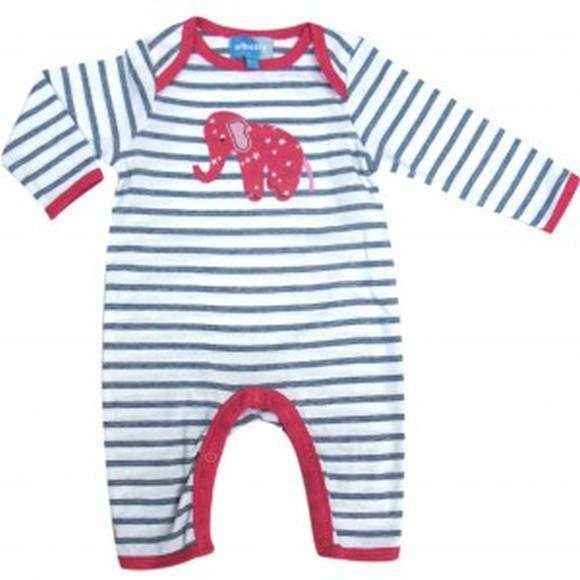 The romper in this elephant baby girl set makes a perfect sleeper and comfortable baby girl pajamas. 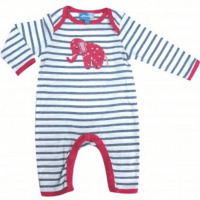 Note that the suitcase, elephant toy, and blankets in the photos do not come with the set.